Our FDA compliant mats are designed for use on work surfaces where protecting equipment and maintaining sanitation is of the utmost importance. Knobby Mats are designed to be sanitized and placed on stainless steel tables and other work surfaces to maintain a clean environment while protecting equipment and tooling. Color coded and metal detectible mats make it easy to prevent cross contamination and ensure your products and processes meet the highest standards. Knobs on the top and bottom of the mat allow maximum airflow for fast and efficient​ drying while preventing bacteria growth. 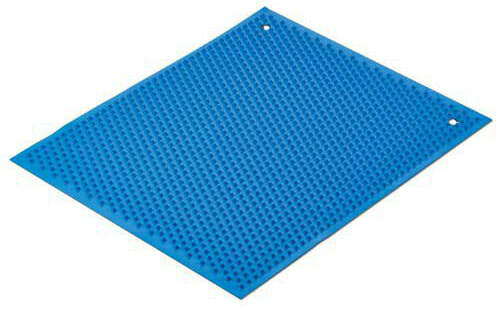 Almost all mats that are marketed and sold to Food Processing facilities are used on the floor as anti-fatigue mats. When you say the word “mat”, most people think only of a floor mat. ​- Our product is uniquely different! 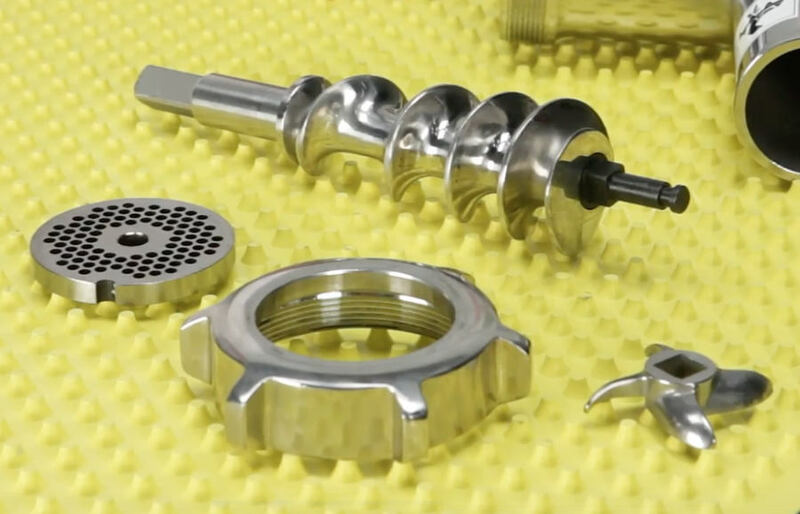 The Knobby Mat is designed for Food Processing facilities to use on stainless steel sanitizing surfaces and other tables and work areas where protecting equipment/tooling during and after cleaning is of the utmost importance. The two-sided knob design minimizes surface contact with the knobs on the bottom side preventing opportunities for bacterial growth under the mat while the knob tips on the top side are supporting the equipment/tooling and allowing airflow for more efficient drying. 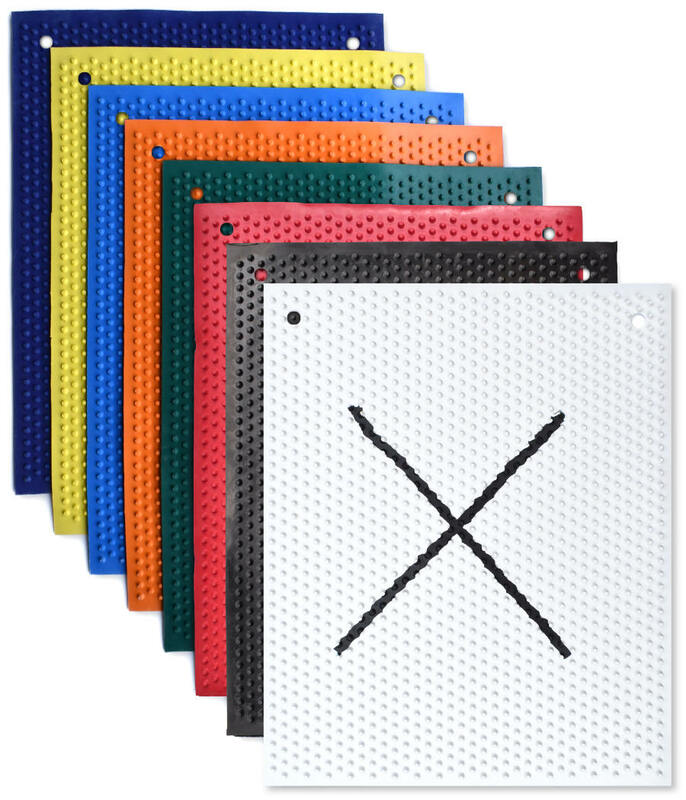 The color coding and special features like a large black X on one side or all black on one side further enhance the mats capability of preventing cross contamination by highlighting which side of the mat is the food contact side. ​​​ ​Most rubber mats on the market are not FDA compliant and have crevasses where bacteria can gather. Our knobby mat is different. 100% of the mat is made from FDA compliant material specifically designed for use where food safety is critical. There are no corners or porous surface areas that could allow bacteria to gather and it is able to withstand aggressive industrial cleaning. Our Knobby Mats have kept pace with the variety of process control enhancements required by food processing plants across the country. ​The mat is washable and reusable for a long life and has reinforced holes for hanging up to dry after cleaning. 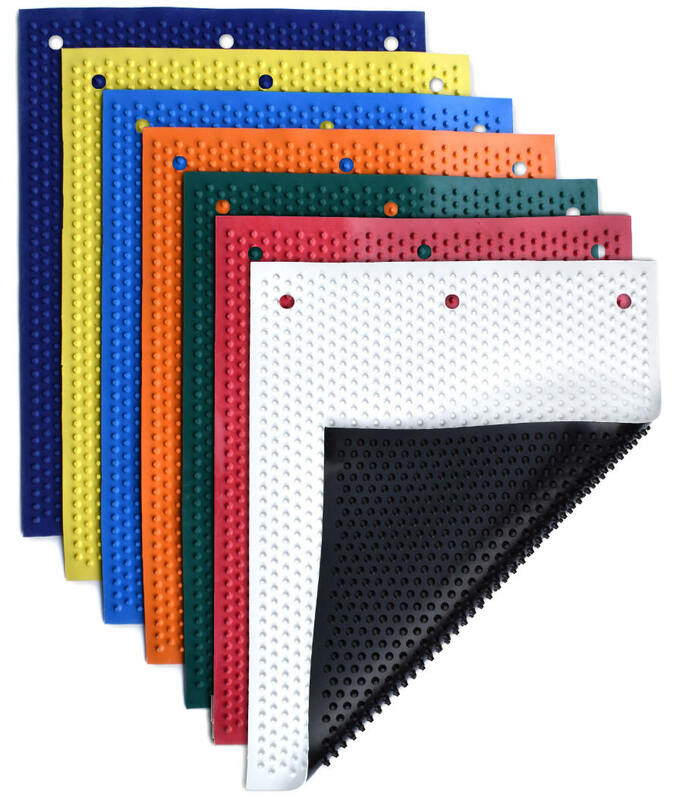 To create maximum airflow, the unique patented design of the Knobby Mat features offsetting knobs 1/4" high on both sides and an overall mat height of 5/8". Ideal for food processing facilities, dairy operations, poultry & meat processing plants, bottling companies, and many other environments. 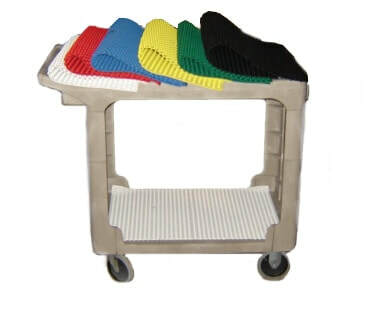 Increase safety and prevent cross-contamination by using color coded mats. Single and dual color options have features to identify product and non-product sides. See the color options here. Prevent contaminated products from leaving your facility with metal & x-ray detectable mats. Maximize your equipment investment and get some extra safety insurance with this mat. Contact Corson Rubber Products Inc. Copyright © Corson Rubber Products Inc.